Lotus chairman Gerard Lopez has announced that the deal with Renault is ‘pretty much done’ and soon Renault will again buy a controlling stake in Lotus according to the deal which they had signed in September which is now edging towards the conclusion. It is a done deal which will be officially announced at the Abu Dhabi Grand Prix next weekend said by Lotus FI team principal Lopez. 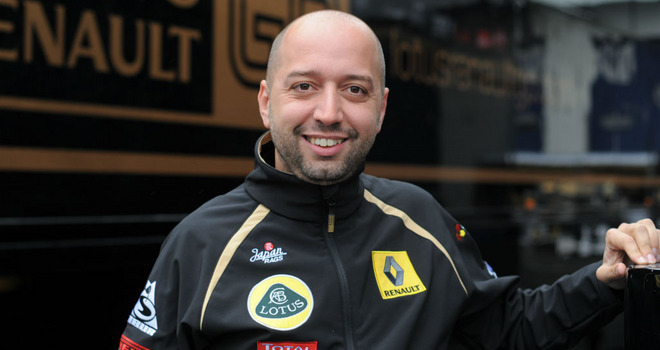 “I think we’re pretty much there with Renault,” Lopez, a founding partner of Genii Capital, which bought the team under its previous Renault guise in 2009, told Sky Sports. Lopez also revealed that Renault has asked him to stay even after the takeover and we will see the Renault returning to Formula One in 2016 for the first time as a full-fledged manufacturer team since 2009. “It won’t be me finished because they have asked me to stay on, so when the deal happens, I will stay on,” he said.